This extensive article will provide traders with everything they need to know about Forex swing trading. Including: what is Forex swing trading, what types of swing trading strategies and swing trading techniques are available, examples of swing trading used within MetaTrader 4 (MT4), and much more! Swing trading has similarities to long-term trend following, but you instead are looking for much shorter market moves. A swing trade tends to last more than a day, but may run for anything up to a few weeks. The swing trader is essentially looking for multi-day chart patterns. Why? To try and attain bigger price moves or swings than you would typically get from a day trade. The time frames used on a chart by an FX swing trader might be as small as five minutes, or as large as an hour. A swing trader may use a combination of fundamental analysis and technical analysis to guide their decisions. Whether there is a long-term trend, or whether the market is largely range-bound doesn't really matter. A Forex swing trader is not going to hold on to a position long enough for it to count significantly. Volatility makes a difference though. Volatile markets tend to suit swing traders best. The more volatile the market: The greater the number of short-term price moves, and therefore, the greater the number of opportunities to place a swing trade. Swing trading is well suited to the Forex market for a number of reasons. As noted, extremely short-term trades require constant monitoring. Long-term trades may not be active enough strategies for most people, and may require a lot of trading discipline. Swing trading tends to appeal to the mindset of a beginner, simply because it uses a more user-friendly time frame. If you are a beginner and would like to test out a swing trading strategy yourself, why not do so with a Forex Demo Account? With a swing trade, you are trying to make a return on your investment from reasonably short-term high and low moves. To do so, you need to study such market moves and find patterns that you are able to exploit. Look at as many currency pairs as you can, for example, volatile moves over the time frame of your choice. Try and identify commonalities to the moves. What kind of conditions are in place when these moves occur? Also look at how the price moves end. Think about the optimal way to get out of a trade in such conditions. Remember that swing trading is a style of trading and not a strategy in itself. Many different indicators may be appropriate for this style of trading, particularly any effective trend-following method. 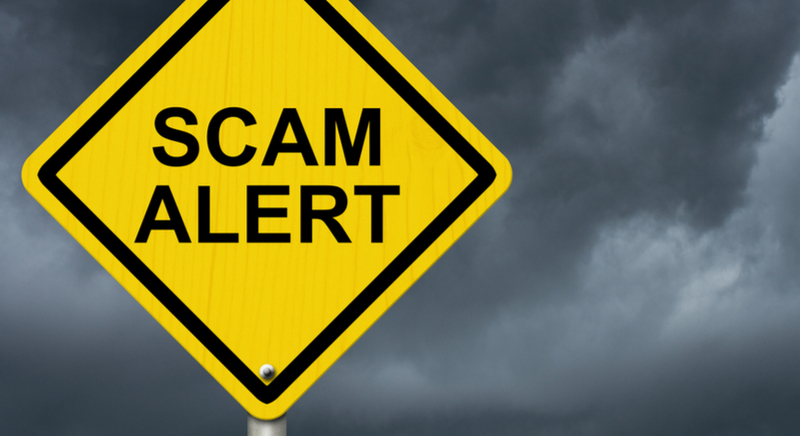 Let's look at an example, to see what price swings can occur, and what risks we might face. You will need to look at a lot of charts in order to establish which method you finally take. The indicator itself isn't particularly important for the purposes of our example. We are more interested in exploring the time frames involved. Therefore, we are going to use the following trend following technique. 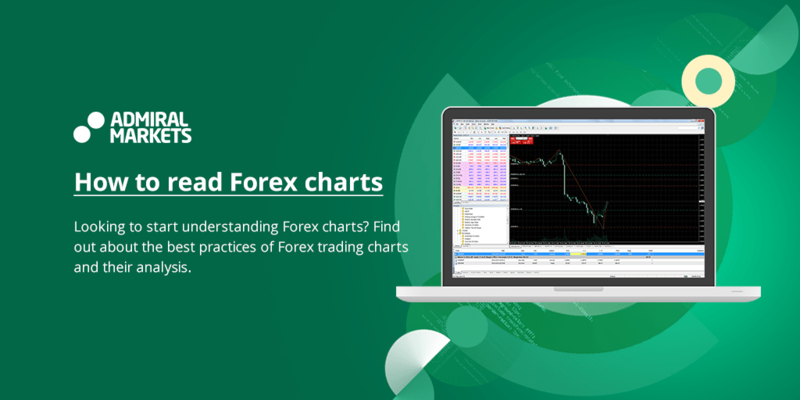 As it comes to swing trading in MT4, you can access a variety of trend-following indicators with the MetaTrader 4 Supreme Edition plugin, alongside other powerful analysis tools. Source: MetaTrader 4 Supreme Edition (MT4SE) - GBPUSD - Hourly Chart - Data Range: 14 Jun, 2016 - 21 Jun, 2016 - Please Note: Past performance does not indicate future results, nor is it a reliable indicator of future performance. The method used here for identifying which market move to follow is not at all complicated. It uses two moving averages (MAs), one short, and one longer. An MA is a continuously calculated arithmetic mean of the market price for a specific number of periods. We are going to use a short-term MA crossing over a longer MA. As an indication, we may see a price swing in the direction of the cross. Along with this indicator as our entry signal, we will use basic placement of stops and limits as our means of exit. In the chart shown above, the dotted red line represents the moving average over the last 25 hours. The dotted green line represents the moving average over the last 100 hours. When the dotted red line crosses the green line, it suggests that we might see a price swing in the direction of the cross. When does this happen? 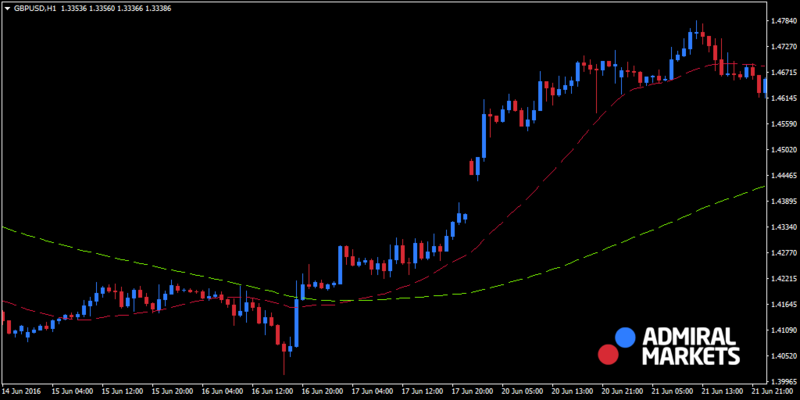 The dotted red line (shorter MA) crosses above the dotted green line (longer MA) occured on 17 June at about 04:00am. We would buy here, hoping for the upswing in the price to continue. Note that the upswing has already begun before we receive our signal. This is the way moving averages work - they are lagging indicators. In our example: we would go long on the GBP/USD currency pair at 1.4280. 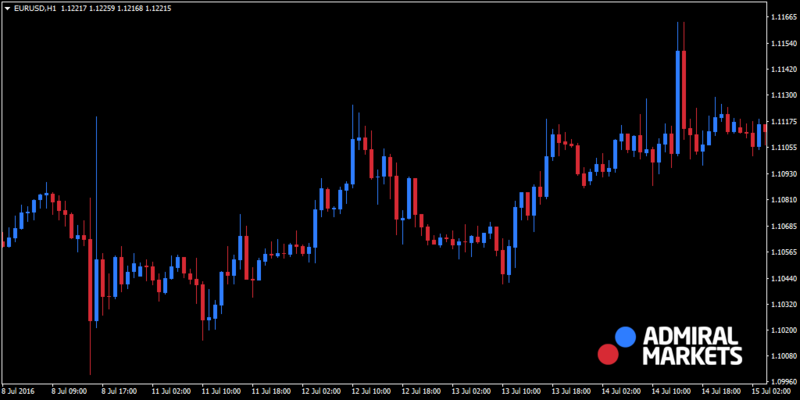 We would then place a stop-loss 200 pips away, with a limit of 600 pips away. 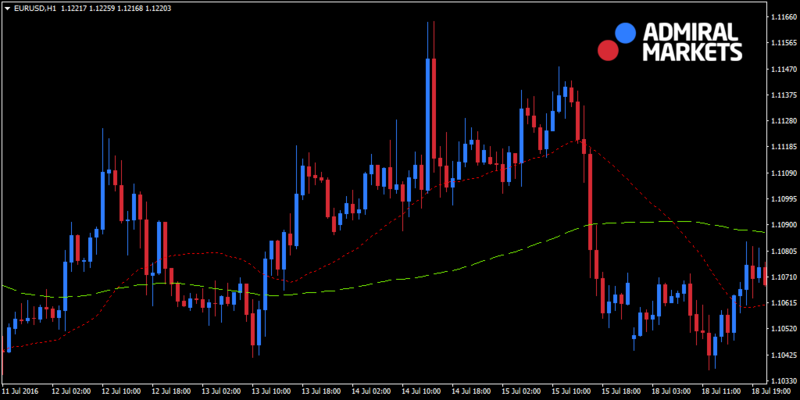 We would then trail the stop 200 pips with the swing. As you can see from the chart, the upswing did indeed continue. Our limit at 1.4880 would have been filled on 23 June. This was around 13:00, when the price went as high as 1.4959 and would eventually top out a little above 1.5000, as we moved into 24 June. We made 600 pips, which is a healthy profit for a trade that lasted just under a week. The example is a little guilty of 'curve fitting'. For that are unaware of the concept, curve fitting refers to the instance whereby a trading system is tweaked and changed in order to closely follow historical information (for instance, trading signals), but it is done so much that it results in the trading system becoming ineffective to use in the future. To get a proper idea of the effectiveness of the method used in the example, you would need to backtest it against many hundreds of charts. Now, what would have happened if the limit was further away? Or if we had attempted to follow the upswing further by not using any limit? We must always be wary of the potential for price shocks. This is why you should always adopt good money management. Our example actually provides us with a perfectly good example of a price shock. If we extend the chart onward a little, you will see why. Source: MT4SE - GBPUSD - Hourly Chart - Data Range: 14 Jun, 2016 - 28 Jun, 2016 - Please Note: Past performance does not indicate future results, nor is it a reliable indicator of future performance. In the early hours of 24 June, 2016 the results of the Brexit vote began to become clear. What was the upshot? The value of the pound (GBP) plunged. The speed of the decline would have meant that our stop-loss would have been restricted to limited use. 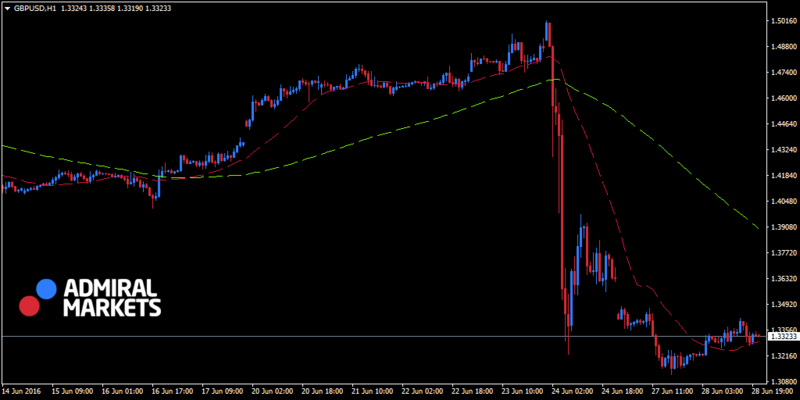 There was a drop of several hundred pips in under a minute. If you are caught trading the wrong way round in such a circumstance, it helps to have used good money management beforehand. If your position is sized correctly versus your risk capital, it allows you to weather the storm. Forex is a hugely diverse market, and there are many different ways to squeeze a profit from it. Alongside the large variety of trading strategies that are available, there are also different trading styles. You are best off trying to match your style of trading to your own individual needs and preferences. One of the main variations in trading style is the time frame in which you operate. Long-term position players sit on the longest end of the spectrum. These are often traders aiming to follow extended trends (which can last months or even years in some cases). 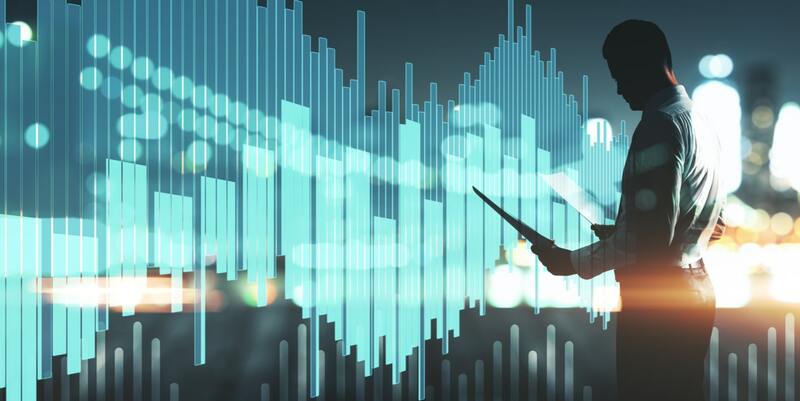 One of the key advantages of long-term trading is that it offers the potential for large profits, however, like all other forms of trading, there is potential for losses too. Successfully following a trend for several months will normally outweigh what can be achieved in the short term. But there's more. Long-term trading systems will often not require much attention beyond a small amount of monitoring each day. But they do require a lot of patience, and will likely only offer infrequent opportunities to trade. On the shortest end of the spectrum are scalpers. Scalpers place ultra-short trades, and are only searching for small price movements before exiting. They are just trying to gain a pip here and there.There is an advantage to the extremely short length of these trades. Namely, you curtail your exposure to the market. It gets better too, because you are only looking for very small price movements, and opportunities for trading are plentiful. Day traders work a time frame that is not covered by scalpers and long-term position players. These are still very short-term traders who may only hold a position for a handful of hours. A day trader may use a variety of methods, but will not hold a position beyond the end of the day. This means that they avoid exposure to any market-moving stories that break overnight. In between day trading and long-term trend-following sits the world of Forex swing trading. 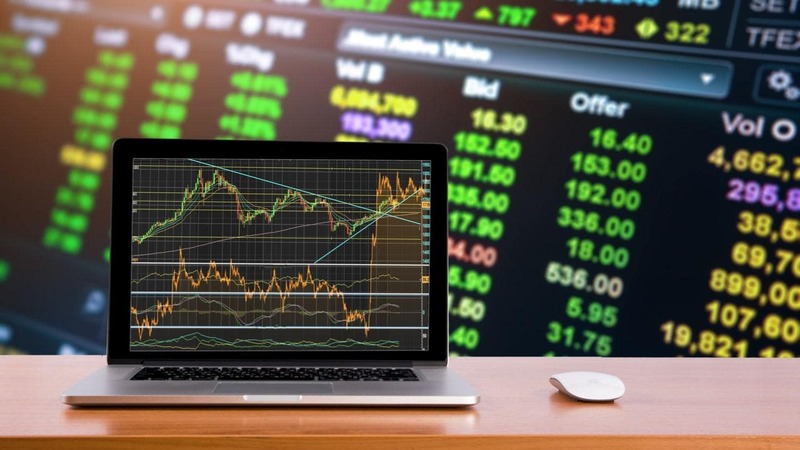 Many people find swing trading to be a natural fit, because it offers an acceptable compromise between the frequency of trades, and the associated time demands. Swing trading is a style, not a strategy. The time frame defines this style, and within that, there are countless strategies we can use to swing trade. Swing trading is a style that operates over short to medium time frames. It lies between the very short time frames of day trading, and the longer time frames of position trading. It's not so short that it commits all your time to monitoring the market, yet it is short enough to provide plenty of trading opportunities. 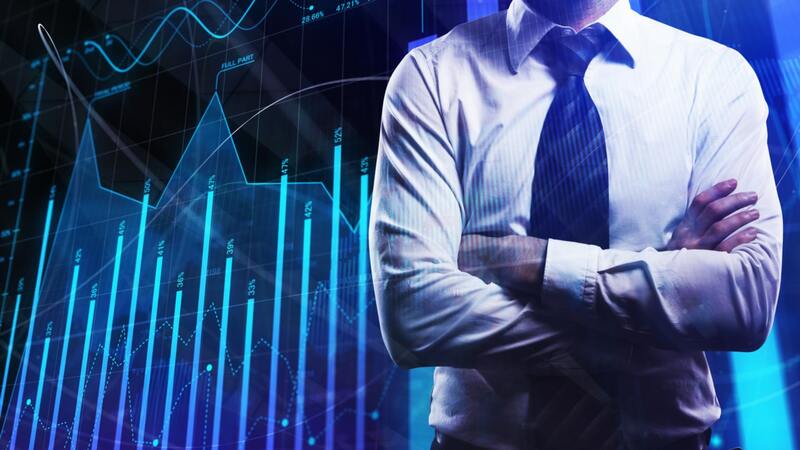 These strategies are not exclusive to swing trading, and as is the case with most technical strategies, support and resistance are the key concepts behind them. These concepts give you two choices within your swing trading strategy including, following the trend, or trading counter to the trend. Counter-trending strategies aim to profit when support and resistance levels hold up. Trend-following strategies look for the times when support and resistance levels break down. For either type, it's useful to have the ability to visually recognise price action. A quick word on price action: markets don't tend to move in a straight line. Even when ultimately trending, they move up and down in step-like moves. We recognise an uptrend by the market setting higher highs and a downtrend by identifying lower lows. Many swing trading strategies involve trying to catch and follow a short trend. Source: Admiral Markets MT4SE - EURUSD Hourly Chart - Data Range: 8 Jul, 2016 - 15 Jul, 2016 - Please Note: Past performance does not indicate future results, nor is it a reliable indicator of future performance. The chart above shows an uptrend that lasts around a week, and which moves with a typical zig-zag pattern. The price rises for a few hours, and then is interrupted by some periods of decline. After this, the upward progression continues. These steps combine so that the overall movement is higher. Generally, we are seeing higher highs being achieved and the lows are also generally rising. Though the overall trend is up, there is a stretch in the middle (from early on 12 July through to 10.00 on 13 July), where there is a pullback or reversal. During this period, the market is not setting new highs, while the lows are moving lower and lower. After this countertrend period, the upward trend resumes. So with this eyeball method, we are aiming to catch the bullish swing, but only when we are confident enough that it is going to continue. How long will a pullback persist? We have no way to know. Instead we look for confirmation that the market has returned back to its original trend. The tell-tale signal that we are seeking is a resumption in the market setting higher lows. This suggests the pullback is over, so we would be buying the EUR/USD currency pair around 16.00 on 13 July. At this point we've seen the market setting increasingly higher highs: and just as importantly, we've seen the lows of each period also rise. Let's say we buy in at 1.1082. Our first version of this strategy places a stop-loss at the lowest point of the previous countertrend. This level was struck at 10.00 on 11 July, and was 1.1042. So our stop goes at 1.1042, and we are risking 40 pips. The strategy is simple and aims for a risk-reward ratio of 1:2. We are risking 40 pips, so we place a limit of 80 pips higher at 1.1162. This price is reached between 14.00 and 15.00 on 14 July, when the market hits a high of 1.1164. Your limit is then filled, and you make a profit of 80 pips. A second version of this strategy would try and run the profits even further. In the second strategy, we do not set a limit. Why don't we use a limit? Because we want to run our profits for as long as we can. We don't know how long the trend might persist, and we don't know how high the market can go. So we will not try to make a prediction by setting a price target, but we do know that prices don't go straight up. This means you have to allow the market to move adversely to some degree, to properly ride the trend. This also means that when the trend breaks down, you will have given back some of your unrealised profits before you close out. Rather than use a limit, we will place a stop at the low of the last 20 time periods. We never move this stop further away: but if the 20-hour low is higher than our previous stop, we would raise our stop to the 20-hour low. Broadly speaking, this means that our stop is trailing the trend. The chart below shows that we would get stopped out by using this strategy, when the price dips sharply at 16.00 on 15 July. Source: EURUSD Hourly Chart - Data Range: 8 Jul, 2016 - 15 Jul, 2016 - Please Note: Past performance does not indicate future results, nor is it a reliable indicator of future performance. The 20-hour low that defined our stop would at this point have been 1.1097. We bought in at 1.1082, and were stopped out at 1.1097. We make a profit of 15 pips. This is less than we made with the first strategy, but aiming to run your profits in this way can lead to a yield of high profits when a trend persists. These occasions tend to be infrequent. In the long run: with the right risk management, the profits should outweigh the losses incurred from those times when the trend breaks down. Our third swing trading strategy is more of a countrending trade, and therefore does the opposite of the first two. We use the same principles in terms of trying to spot relatively short-term trends from building: but now try to profit from the frequency with which these trends tend to break down. We also saw how an early part of a trend can be followed by a period of retracement before the trend resumes. A counter-trend trader would try to catch the swing in this period of reversion. To do so, we would try to recognise the uptrend pattern. Then when a fresh high was followed by a sequence of failures to break new highs - we go short in anticipation of such a reversion. When counter-trending, it is very important to maintain strong discipline if the price moves against you. If the market resumes its trend against you, you must be ready to admit you are wrong, and draw a line under the trade. All the strategies discussed so far are very simple. They count upon the ability to recognise and understand price action. What can traders do to improve their strategies? Well, there are several things you can try. The first is to try to match the trade with the long-term trend. Although in the examples above we were looking at an hourly chart, it can help to also look at a longer term chart - to get a feel for the long-term trend. Try and trade only when your direction matches what you see as the long-term trend. Another way to improve your strategy is to use a secondary technical indicator to confirm your thinking. For example: if you are a counter-trender, and are thinking of selling, check the RSI (Relative Strength Index) and see if it signals the market as overbought. A moving average (MA) is another indicator you could use to help. An MA smooths out prices to give a clearer view of the trend. And because an MA incorporates older price data, it's an easy way to compare how the current prices compare to older prices. Source: MT4SE - EURUSD - Hourly Chart - Data Range: 11 Jul, 2016 - 18 Jul, 2016 - Please Note: Past performance does not indicate future results, nor is it a reliable indicator of future performance. This is overlaid on the EUR/USD chart that we looked at earlier. We can see that the quicker red MA line is above the slower green MA line, when we took our long position in the first two strategies. A shorter MA being above a longer MA is usually seen as a confirmation of an uptrend. 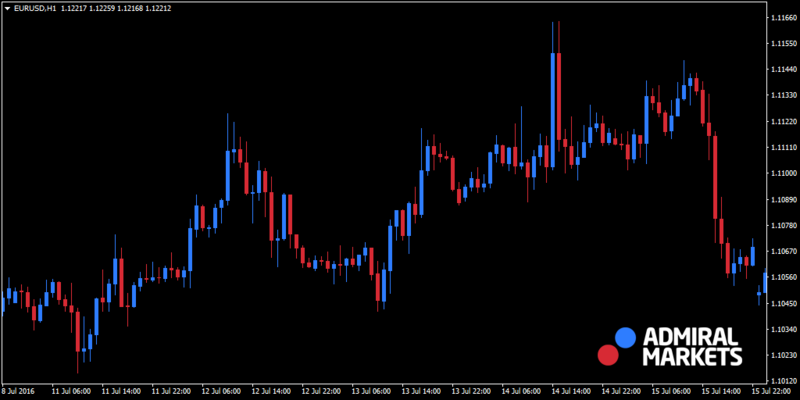 An MA is just one of the many powerful but simple-to-use indicators, available with the MetaTrader 4 Supreme Edition plugin. Swing trading is a style suited to volatile markets, and it offers frequent trading opportunities.While you will need to invest a fair amount of time into monitoring the market with swing trading, the requirements are not as burdensome as trading styles with shorter time frames. Again, swing trading is not right for all traders - so it's best to practise with it risk-free first, on a demo trading account. We've also looked at some entry and exit strategies for swing trading. 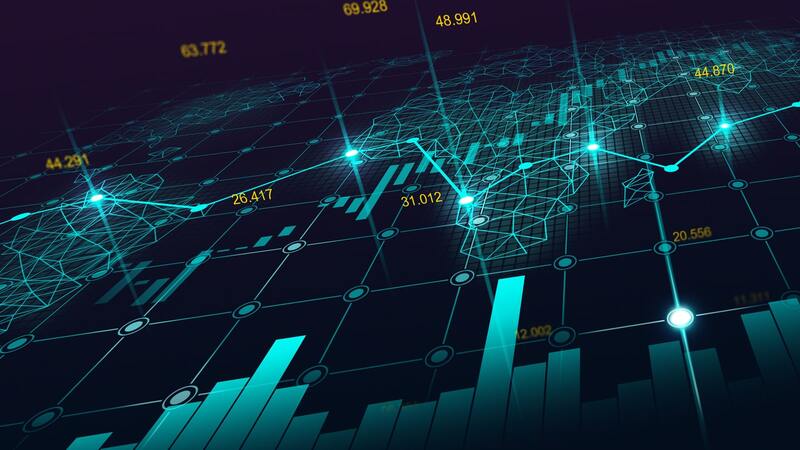 But it's important to note that a complete swing trading system will also incorporate good money management, and will be able to identify suitable markets.